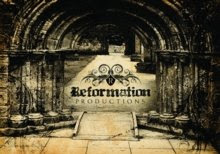 Reformation Live - The Truth: Chantelar Studios is now ReOpened! Chantelar Studios is now ReOpened! Saturday, August 15, 2009 marked the grand reopening of Chantelar Studios. We had a party to celebrate all of the people that had come together and helped us rebuild the studios and sustained our family through this time. We showed a video that we had produced (attached below) and our campus pastor for 12Stone Church's Hamilton Mill location, Kevin Queen, spoke and asked a blessing over the house, followed by some good eating catered by Shane's Rib Shack of Gainesville. I wanted to share with you the experience and teachings of the day. I didn't have room/time to share everything on the video, so here is it for those that really want to dive in and find out what was going on in our lives. I was saved, by the grace of God, in 1995. My testimony can be found here for those that want more information about that. (There is a continuation link at that site, so read close to find the link) God had called me to continue working in music at that time... specifically, he told me to move to Nashville, the center for contemporary Christian music. I agreed... but then I had a pause. That pause can really change a man's life... and it did mine. I had started dating this girl...and I wanted to get married and launch on this journey WITH someone. So instead of responding immediately, I stayed in Atlanta until I married the girl. Let me bring in a biblical illustration of what this looked like, and was, to God.. my Father, YHWH. In the old testament, YHWH had called Abraham and told him that He was going to make His people out of Abraham's seed.. that his descendants would be a mighty nation. (read as "told Zachary that there was a need for him to work in music") Sarah, Abraham's wife laughed because she was old... after some time, she and Abraham had deployed a plan to make God's promise to Abraham come true... Sarah provided Abraham with Hagar.. and so mankind, had decided to help God out. I did the same thing. - "yes, God. I will go to Nashville and work in music... but I'll need a wife first, so let me go and get this wife..then we'll have everything You need to make an impact using my life." was basically what I had said to Him... as if He needed my help or my permission or even my meager life to accomplish anything. - As if God needed Sarah to suggest Hagar as a way to provide God with a people. So I went on, got married and on our honeymoon, I went to Nashville to seek out the Holy Spirit's prompts for where we were to be... and they were gone. Has God changed His mind? What was going on? I went to Nashville and there was nothing there for me. Confused, we came back to Atlanta and continued to set up shop here. I had started working in Advertising as a way to make ends meet and was working my way up the ladder there.. But I knew that music is where God said He was going to use me. So I continued on that path, on my own. I started continued working on the album that God had conceived in me before the directive to go to Nashville some 3 years before and began the makings of an independent record label with other Christian musicians to do work for my God in a mighty way. I had known that I missed the boat.. that I had sinned against God for not going to Nashville when He told me..and I was going to make up for it. I had gone to school for music business and knew that I had the tools to “make” it happen. Well when you try to do things under your own power for a mighty God that doesn’t need any of us to accomplish His goals.. it becomes very tiring. Things weren’t working the way I planned. This wife that I had held out to marry began to stray and wasn’t on board with my plan to help God out in our lives. I was being pushed to climb the corporate ladder in Advertising and make security. We had conceived a child and a family had begun. I was working very hard with XPESRX Records and I was away from home quite a bit, in the studio, or at a Soul Echo, or one of our other artists’, rehearsal. Then 9/11 happened, and my executive position with a new ad agency in Atlanta was finished. The economy turned bad and my company was downsizing with me and my family caught in the wake. With no security, my wife left, committed adultery and we were separated. I swore I would never get divorced because I had come from a divorced family, but here I was... now realizing that I wasn’t the only one that could decided whether or not I was going to get a divorce. My wife had been an immaculate deception and I had fallen off course through fear, temptation, and my own desires. With that divorce, I became a single father with sole custody of my daughter…which brought in a new fear… I had to provide for me and my little girl. So I dove in deep to corporate America and began diligently working my way up the corporate ladder and into more financial security for us. I had left behind my music ministry. The artists started to fall apart, their bands, and the projects didn’t turn out they way I envisioned as a result, I was tied and didn’t have the energy to push through on my own power and so I failed… but now I had a new goal… money, security, a home for my daughter. So Ishmael had been born. Ishmael was the illegitimate son of Abraham and Hagar. Man’s solution to a God promise. I continued to raise Ishmael for some time… feeling guilty and becoming more and more out of touch with my Father. Then an amazing thing started to happen. God had started bringing new people into my life, one being a woman that would become my wife. Through that relationship and her vibrant love for the things of God, He began to create a longing in me again for a closer relationship with Him. I began to realize that I had been ignoring what He called me to do, that I wasn’t using any of the talents or skills that He had provided me with for Him. So I surrendered Ishmael to Him. In December of 2007, I asked Him to restore my relationship with Him and to use me as He would. January 8, 2008, just eight days after praying in the new year, we saw God move in a mighty, and yet unexpected way. My executive leadership position with a new Advertising Agency in TN was eliminated. But this time, I held fast to the promise that God was moving in my life and that He was in control… because I had repented from my efforts to control my own life and of my fears for security. YHWH brought us through, my wife and I dove in deep into learning more about Him and in finding His direction for our lives. I had finally forgiven myself for my disobedience to Him and I was getting into a closer relationship with Him than I had had since I was first born into the kingdom of God. Spending dedicated time with Him each day, studying, learning, sharing with my wife, pursuing, watching and waiting. I had started working in music again through our new local assembly of believers… 12 Stone Church. I had started working sound at the middle school ministry, playing instruments for the worship bands there and at Hamilton Mill, produced a video promo for the middle school program with a friend of mine from the former XPESRX Record’s artist Soul Echo…. And I was finding happiness in parenting, my new marriage, etc. again. I had started doing contract work at a TV studio in Atlanta when we began to prepare to pray in 2009. January 11, 2009, just eleven days after praying in the new year, our house caught on fire and we were displaced. The details of the fire are in the video but here is what it did. Through the fire, God was able to provide me with a second chance. God provided me with Isaac. Isaac was Abraham’s promised son with Sarah. God forgave Abraham of his sin of trying to “help God out” with Hagar, which produced Ishmael and moved forward with His original plan for him by having Sarah conceive Isaac…through which God’s people decended. You see, with the fire, I was able to replace and upgrade the equipment in Chantelar Studios to be state of the art, we even added some new services to our offerings. And YHWH, my father, told me while driving down I-85 towards my contract job… this is your second chance, this is your Isaac. So as we reopen week, I pray that I will live in honor of what He has done… and respectful, mindful of this second chance that He has provided in a way that only He could have. I could have never upgraded the studio this quick on my own… but He used something that would have other wise been devastating, for good… for those that love Him. Just as He promised. Now my wife has her own story of what she learned through this process, which we may share later. It's just amazing how God can do a work like this in someone’s life and simultaneously be doing another work that coincides in another person’s life. The Master Artist, pulling together many different colors to make a masterpiece… the masterpiece of our lives. You see, we are His hands and His feet... God uses men to do His work here on earth, to bring about His plan. We are not worthy, but wow, what an honor!